Comes with 3 darts blister packed on a card. threaded brass barrel and sharp metal tip. We are a wholesale darts distributor. 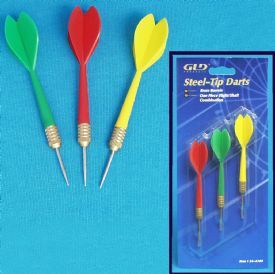 These are great darts for carnival game.